Posey Econom Mitts is filled with foam and secures around the wrist with a hook and loop strap or quick-release buckle wrist closure. 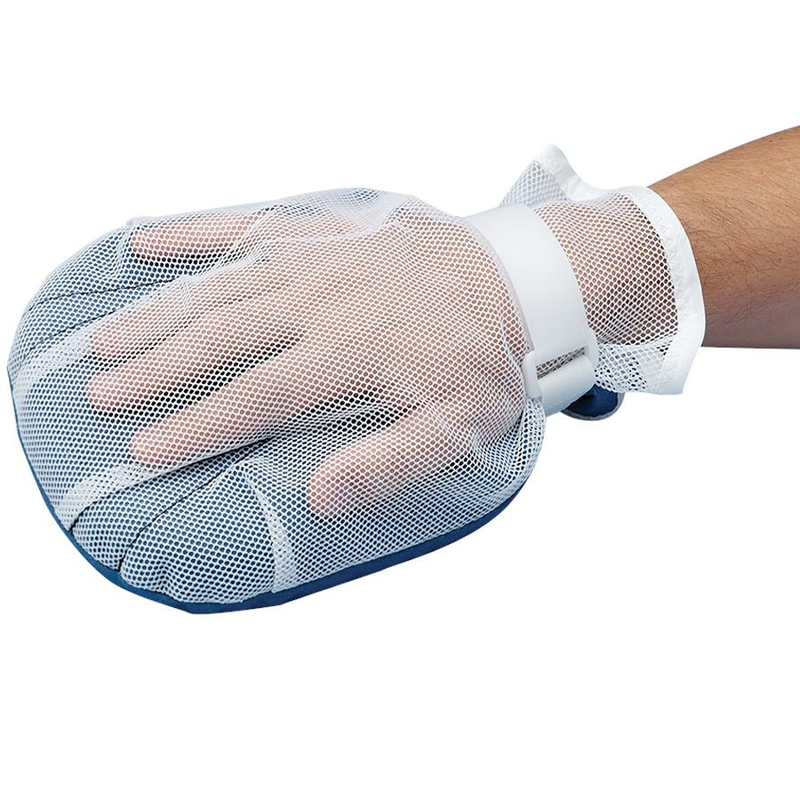 Closed-end mesh back facilitates skin checks and the ambidextrous design fits either hand. This is for patient who disrupt medical treatment by pulling at their IV line/catheter or are prone to self-injury. A full padded hand mitt for elderly comes with three finger separators. How To Use Posey Economy Mitts? Insert the patients hand into the mitt, palm down. Separate the fingers so that they fit into the three finger separators. One slot is for the thumb, one is for the little finger, and the largest slot is for the remaining three middle fingers. Wrap the wrist strap around the smallest part of the patients wrist, through the plastic ring, and secure with the hook and loop fastener. Slide ONE finger (flat) between the device and the inside of the patients wrist to ensure proper fit. The strap must be snug, but not compromise circulation. To prevent the patient from flailing or bucking up and down and causing self-injury. Monitor closely when the patient is out of bed. Patients who ambulate while wearing this device may be at risk of injury from a fall. - If an IV or wound site could be compromised by the device. - With a dislocation or fracture on the affected limb. If the applied device is uncomfortable; or if it severely limits movement. If symptoms of these problems ever appear for any reason, get help from a qualified medical authority and find a less restrictive, product or intervention.